The archeologist-author of this fascinating free e-book (links below) is knowledgeable and confidently Christian in a way modern scholars try to avoid, in public at least. 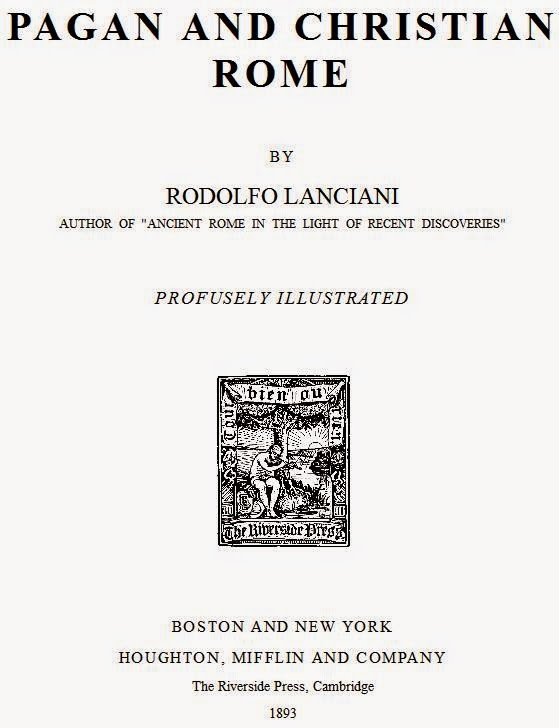 Published toward the end of the 1800s, the book discusses for the amateur archeologist and for the visitor to Rome the new discoveries that were being unearthed ever year at that time. 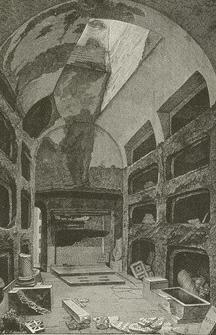 The author unhesitatingly links the catacombs and cemeteries, temples and churches, tombs and mausoleums to Rome's history as the founding city of Catholicism. 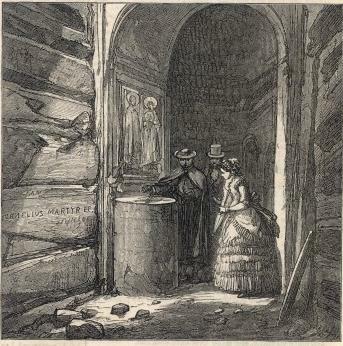 After the fall of the Western Roman Empire, the monuments of the city of Rome were plundered, patched up, stripped, restored, then neglected for a long time before being plundered by Italians during the Renaissance for building materials and decorations for new palaces for the rich and powerful. The author explains much of this history without losing sight of the present-day Rome visitors would see. Sadly, many of the sites the author discusses are no longer available to the tourist, but that does not detract from the interest in this heavily illustrated book. The author writes at length about how the ancient Romans viewed the new faith, the Christian faith, the foreign superstition, the nova superstitio. We learn about the early conversions and persecutions, about the rich converts and the poor converts, who worshiped together in humble confraternity. Showy, proud, licentious Roman pagans saw Christians as despicably lazy, refusing to join in the licentiousness, public honors, showiness. Christians did not approve of slavery, torture, capital punishment, prostitution, the slaughter of humans and animals for sacrifice nor for entertainment. They shunned the sin of gluttony, too, which was shocking in a society where rich families could have a room next to their dining room called a vomitorium where people could vomit up their food so they could return to the dining table to eat more without suffering a distended stomach. Yes, Roman society encouraged bulimia. The author describes the wholesale conversion of Roman pagan temples and shrines into Catholic churches, monasteries, convents and shrines. These conversions began after Roman Emperor Constantine converted to Christianity. He allowed the other faiths to practice in the Empire, but he protected Christians and gave them places to worship and to bury their dead. There is mention made of efforts by some Emperors before Constantine to incorporate Jesus into the Roman pantheon of gods, but the conservative Roman Senate always denied those requests. [Tiberius] is alleged to have sent a message to the Senate requesting that Christ should be included among the gods, on the strength of the official report written by Pontius Pilatus of the passion and death of our Lord. 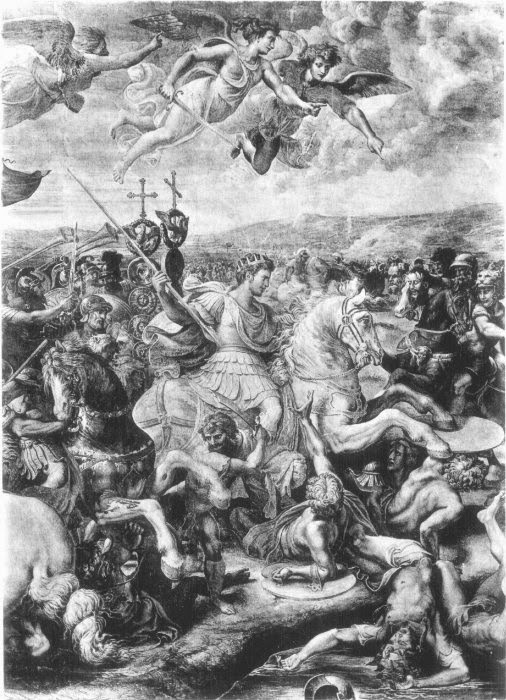 While pogroms against the Christians flared up periodically, for political reasons, the author stresses that the growth of Christianity was gradual and inevitable, and it was not seen as being in conflict with military service or public service roles, much like today, in most places. Pagan symbols and festivals were incorporated into the new faith. 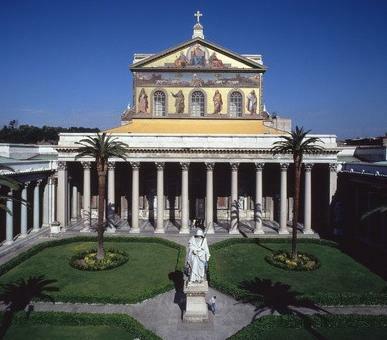 Roman pantheistic traditions often blended with Christian/Jewish traditions, much as the temples blended into churches. 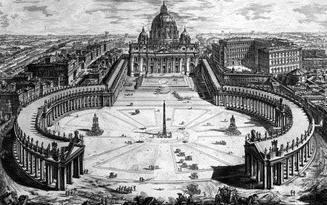 At a certain point in Rome's turbulent history, after the fall of the Western Roman Empire, the popes fought with the aristocratic families and their thugs for control of the city. 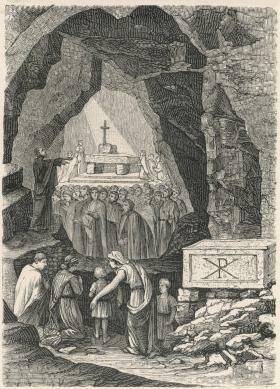 Christian pilgrims became the city's only source of income, so churches and shrines were constructed over tombs of saints and martyrs. Passion plays and other religious spectacles were staged in Rome's streets. 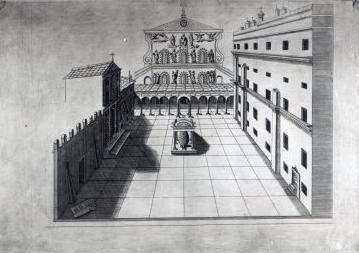 A large section in the book is dedicated to the construction of the first and second Basilicas of St. Peter. First Constantine's tribute to where St. Peter was crucified is described, and then the new basilica's construction is detailed. I found this to be the most fascinating section of the book. The second most interesting section is about the churches built over the homes that were used by Saints Peter and Paul when preaching to the early Christians in Rome. The author's enthusiasm for his subject is contagious. A picture of Rome through the ages emerges from his text. It is a living, breathing Rome, full of complex people from all around the Mediterranean Sea. He treats us to appropriate quotes from classical writers, popes, saints and historians. The reader comes away with a better understanding of the ancient Romans and the early Christians, but to fully appreciate the book the reader should have a basic grounding in the history of ancient Rome and in the Catholic faith. Only then can one really understand the links the author makes between Jerusalem and Rome, not least the recreation of the Via Dolorosa by Rome's town planners, to host the yearly Passion play. 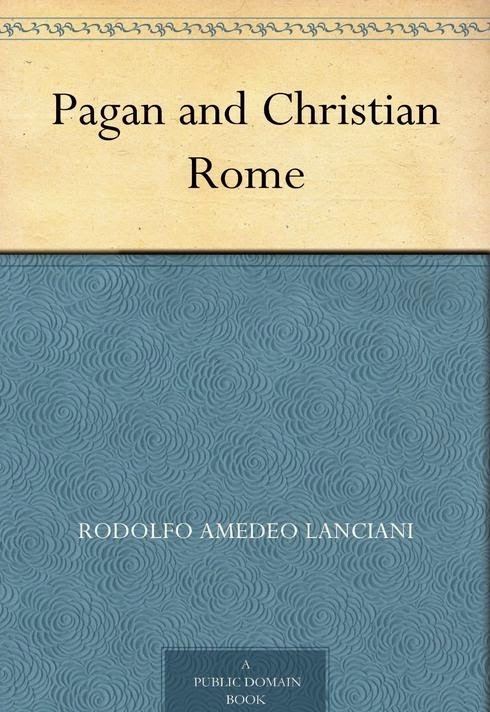 Pagan and Christian Rome is free to download in various e-book formats, including Kindle mobi, from Project Gutenberg, the Internet's grand-daddy of free e-book sites. You can also read the book on-line with the HTML format. If you wish, you can download the free Kindle (mobi) edition directly from Amazon.com.